OLD PARKED CARS. 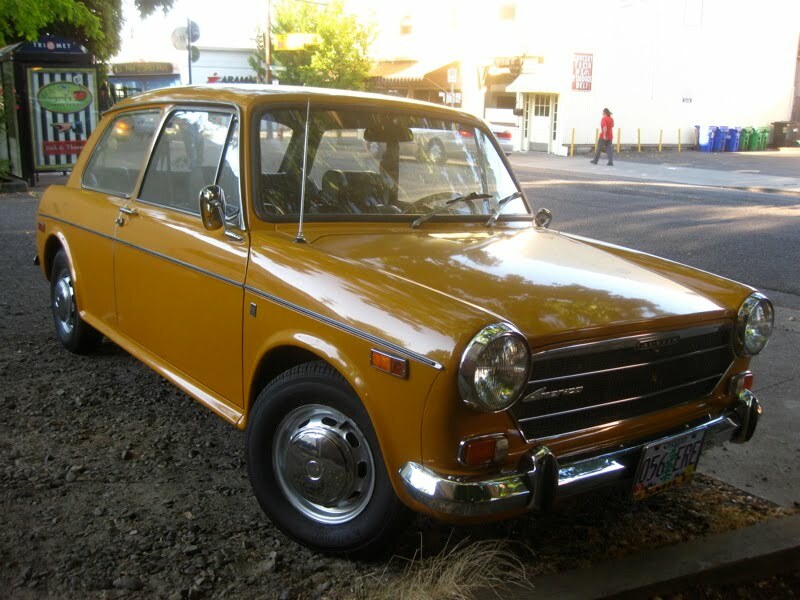 : 1971 Austin America. What a golden find, just priceless! Bet that made your day. said wife supports my car-watching hobby much more enthusiastically when i'm shooting cars that approves of. like this one. 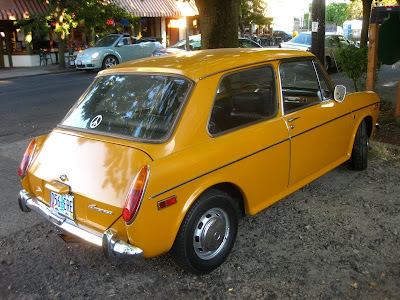 I'd love to have one of these, my dad had the slighty larger brother to this; the Austin Maxi. I bet the view is never a topic of complaint. Although compared to US cars at that time, this is still like a lifeboat on the deck of a ship. My brother had a 1970 Austin America the same color as this one. I got to drive it on occasion and it was a blast to drive! My brother ran it in local autocross rallies. In the '70's - the front wheel drive did well in autocross events again other rear wheel drive cars in the same class and event. 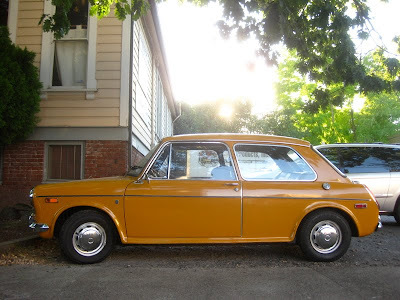 This car is now on eBay! Damaged, though. This one looks so new, too bad its damaged now. Im picking one up this afternoon if all goes well.